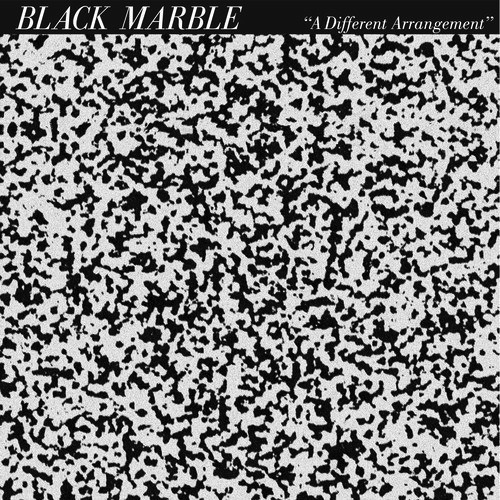 Black Marble is a Brooklyn based band consisting of Chris Stewart and Ty Kube (previously of Team Robespierre fame), and a whole lot of synthesizers. Their first full-length LP “A Different Arrangement” was released earlier this month by Hardly Art records. With a synth-pop feel, this album will transport you right back to 1985, or perhaps the first time you turned on a Depeche Mode record. Although they share a similar dark quality to other bands of it’s genre, there are strong melodic patterns laced through every track, making each individual song something a little cold and sometimes dark, but refreshing to listen to. Song’s like “Last” (which is ironically 9 out of 11 tracks) have a strong rhythmic lead-in before allowing heavy, haunting tones to fill out this band’s sound. Vocals are never the front man for their often times lyricless music, but placed over as a top layer adding dimension to the album on the whole. Unfortunately for a girl like me who swoons over romantic words and whimsical vocal runs, it didn’t sit right in my ear-holes, but musically their sound is not threatened by it’s absence. Black Marble definitely lack’s a presence on the internet (the band’s website is currently nonexistent), and they are performing primarily in their home state of New York with no larger scale tours on the horizon. But they have been listed as a band to watch in 2012 by more than one critic, which makes sense with the rise of synth-based artists in the past few years. The whole album is available to hear on Spotify, and is worth a listen. Though, this band will probably not ever exceed the success of the two men’s individual efforts as DJs, and joint effort creating mixtapes for other bands with a bit more popular appeal.